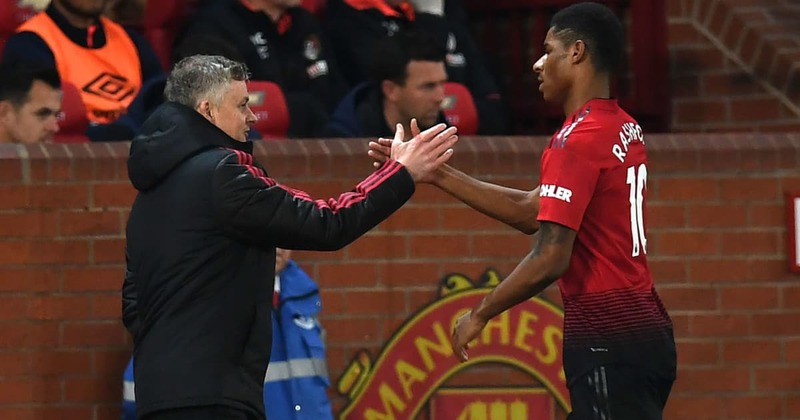 ?With Manchester United flying under new interim manager Ole Gunnar Solskjaer, Marcus Rashford appears to be flourishing and has decided to rebuff advances from Real Madrid and Barcelona in favour of staying at Old Trafford, according to reports. A few months ago ?Real Madrid were rumoured to have approached the Red Devils about a potential summer transfer for the England international, which grabbed the attention of Los Blancos’ rivals ?Barcelona, ?who also had Rashford on their radar. ?Rashford was apparently open to talks with ?Barcelona and ?Real amid concern over his playing position under Jose Mourinho, but the ?Sun report that the change in manager has inspired the 21-year-old to dismiss the idea of moving to La Liga and remain with his boyhood club. Rashford has been in blistering form of late, scoring two goals in his last three games, though there was some cause for concern after he limped off during United’s 4-1 win over Bournemouth on Sunday evening. Given Rashford’s form and recent change of mind over his future, it’s expected that the United academy graduate will sign a new long-term deal with the club as his current deal expires in 18 months. The Red Devils will hope to extend their current winning streak to four games when they visit the Magpies and put the pressure on Arsenal, who currently sit in fifth place, three points ahead of United.